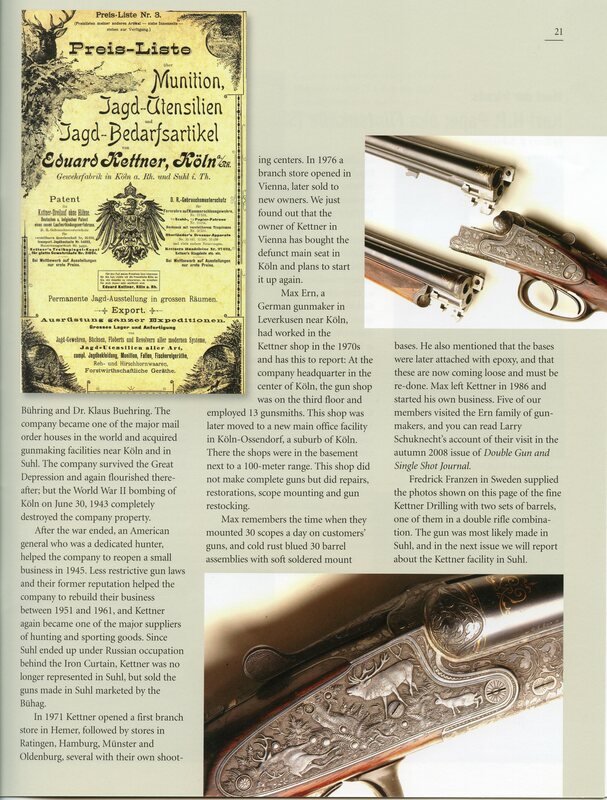 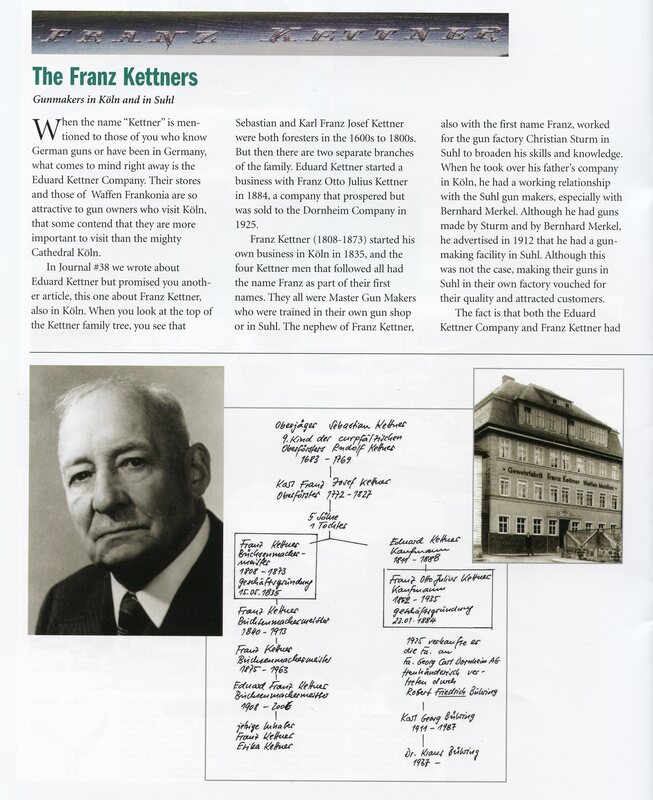 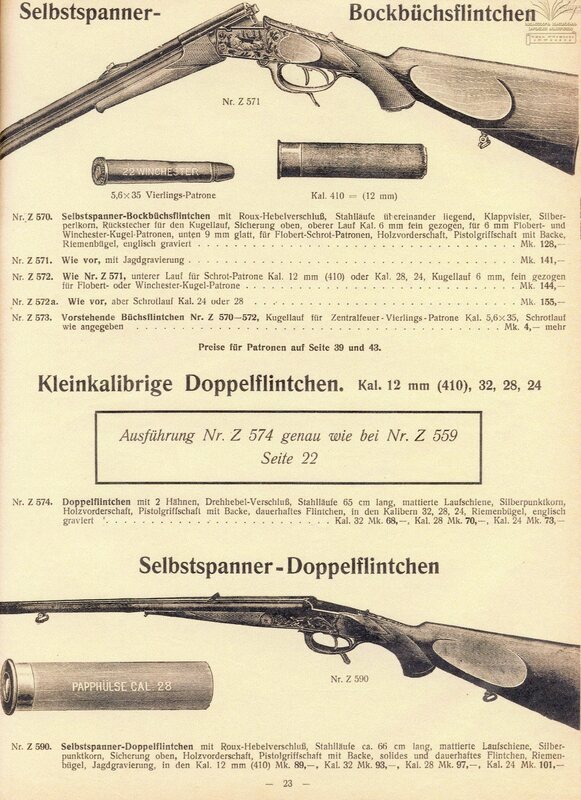 The German Gun Collectors Association has an Eduard Kettner catalog reprint available for purchase. 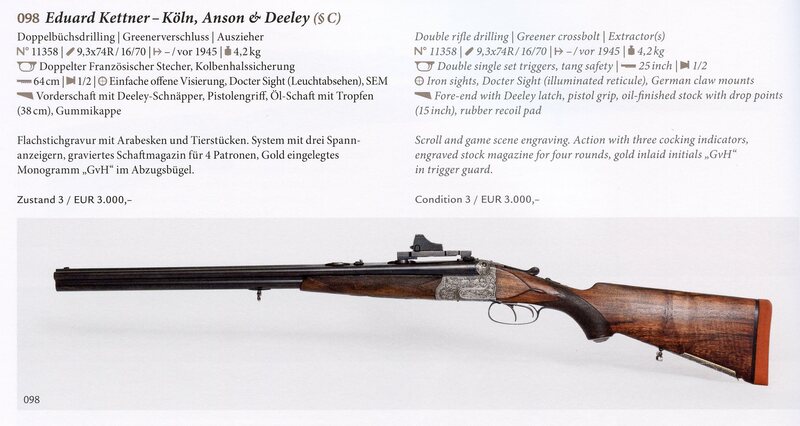 Click here to go to their site and to view what they have to offer. 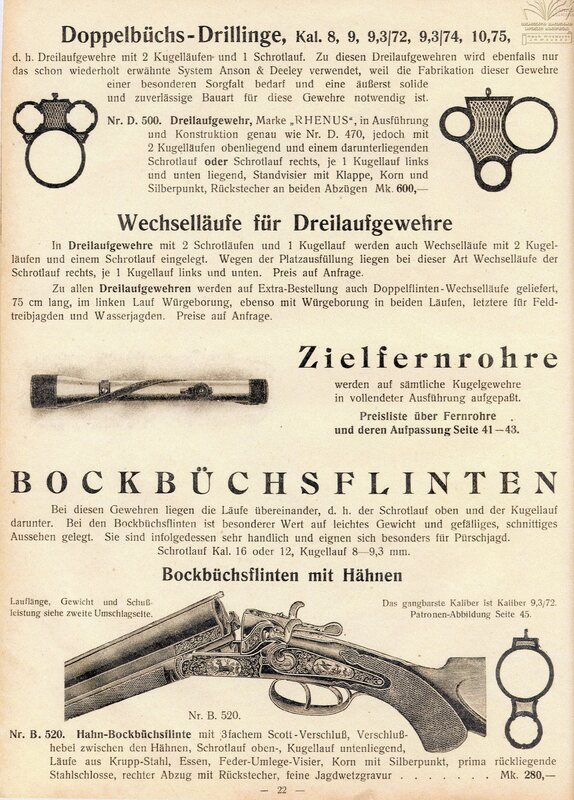 The following images are selected from a 1928 Eduard Kettner catalog. 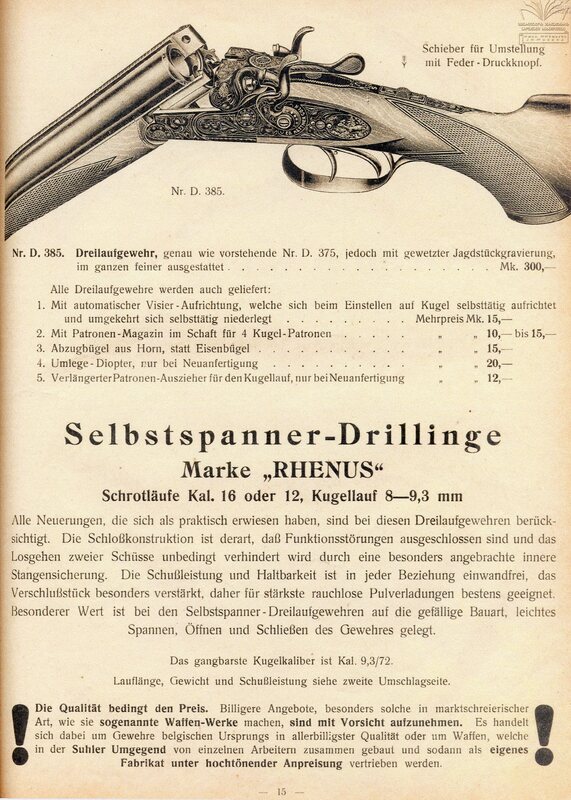 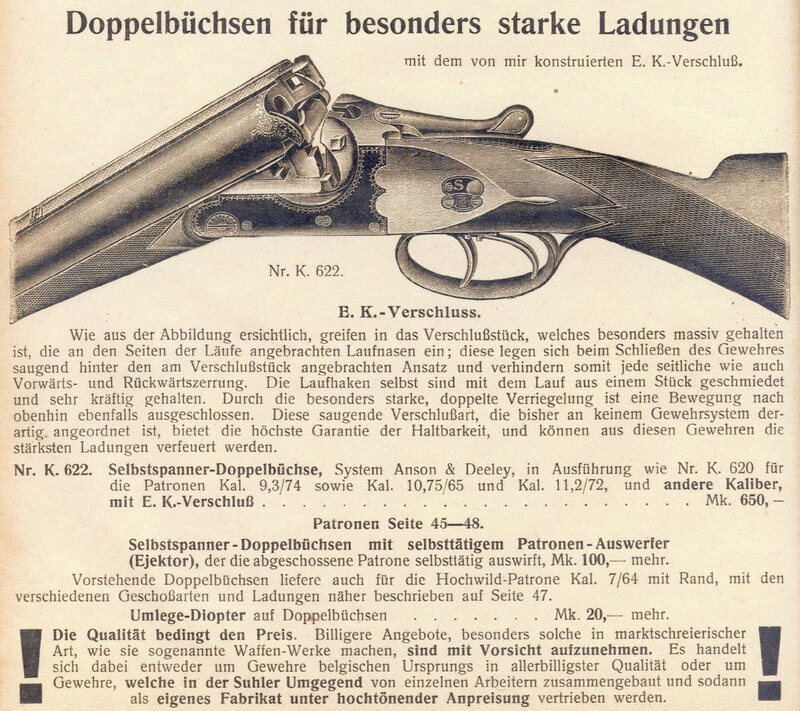 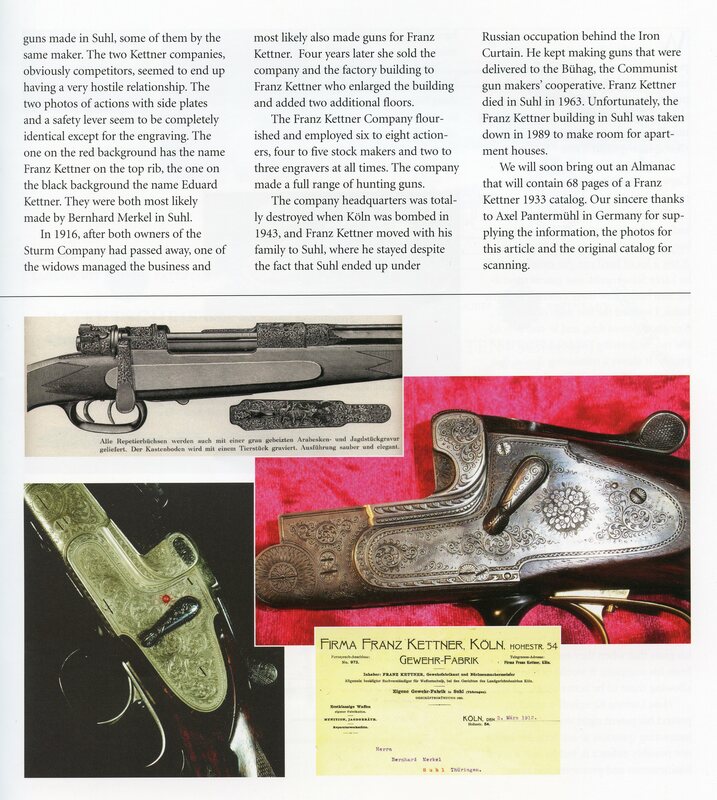 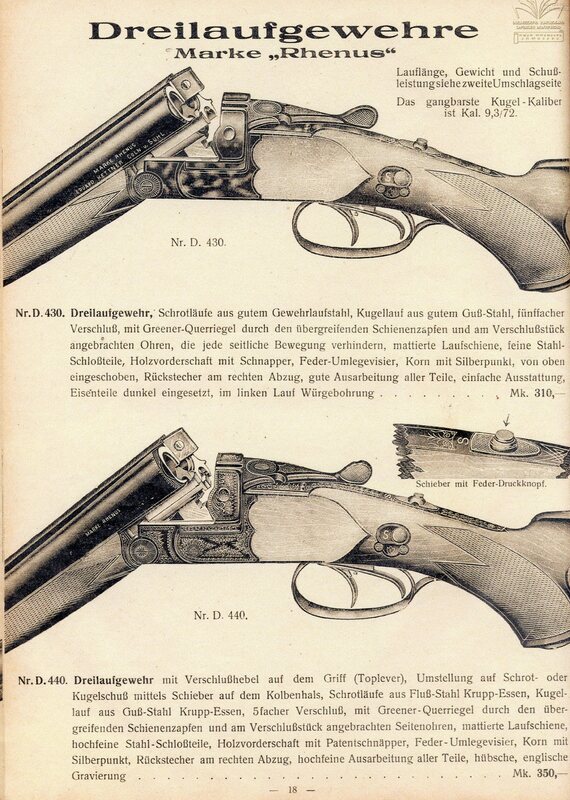 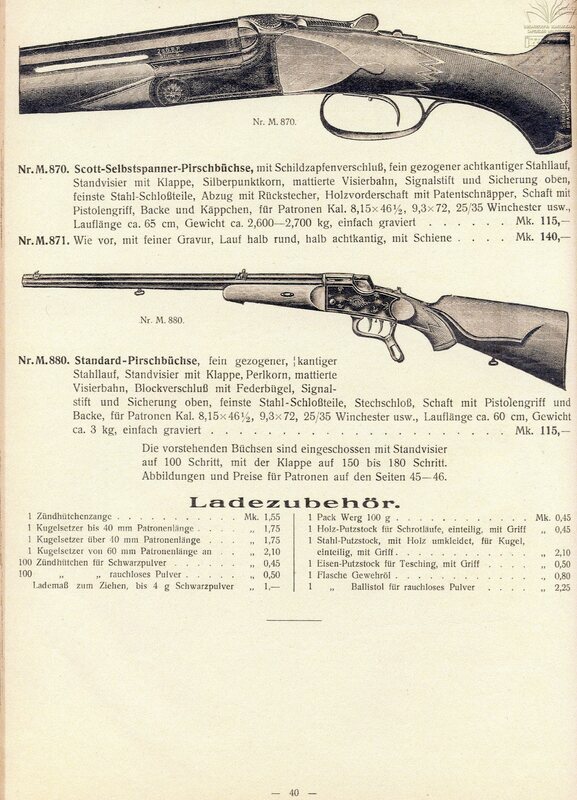 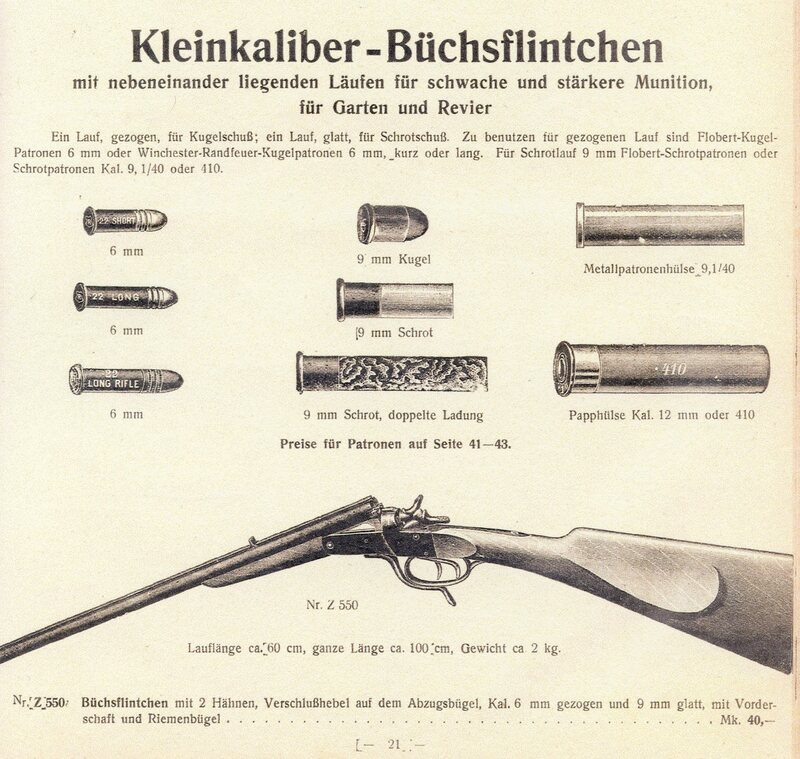 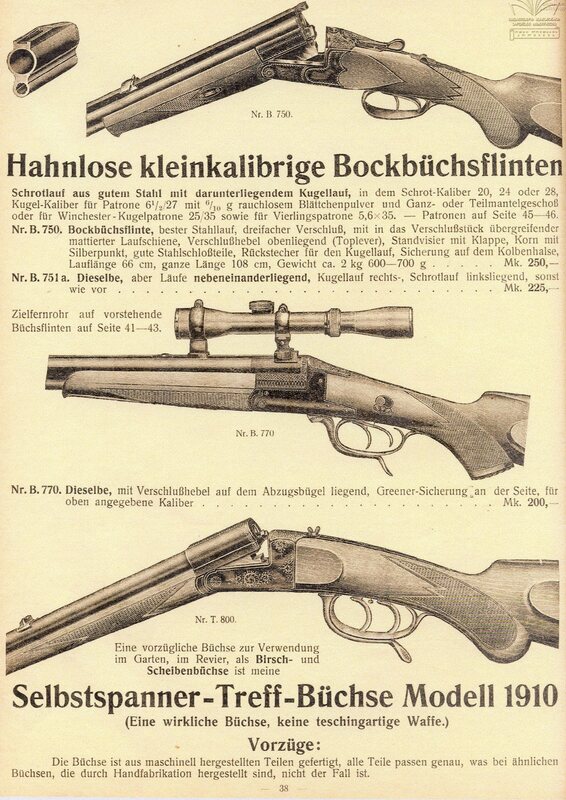 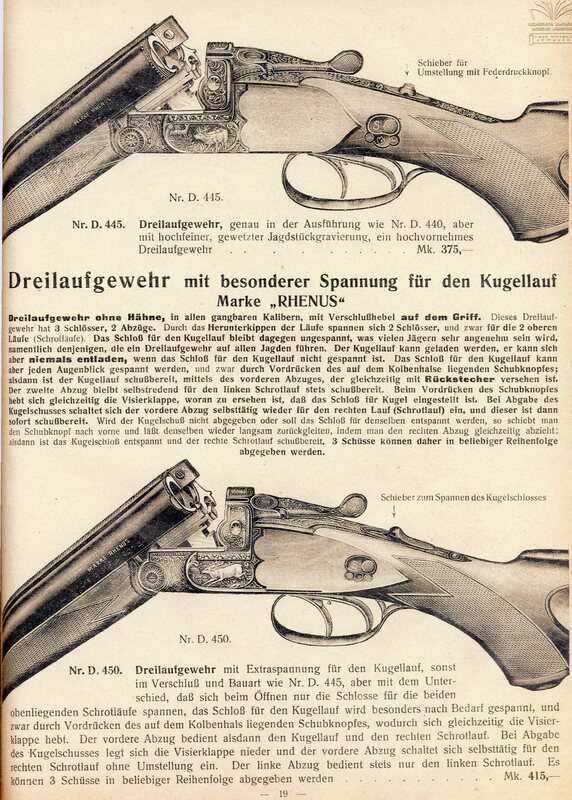 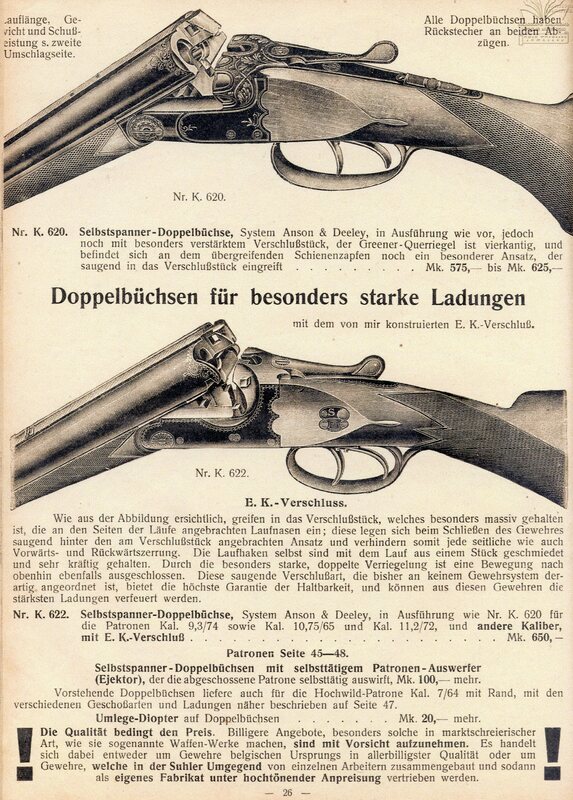 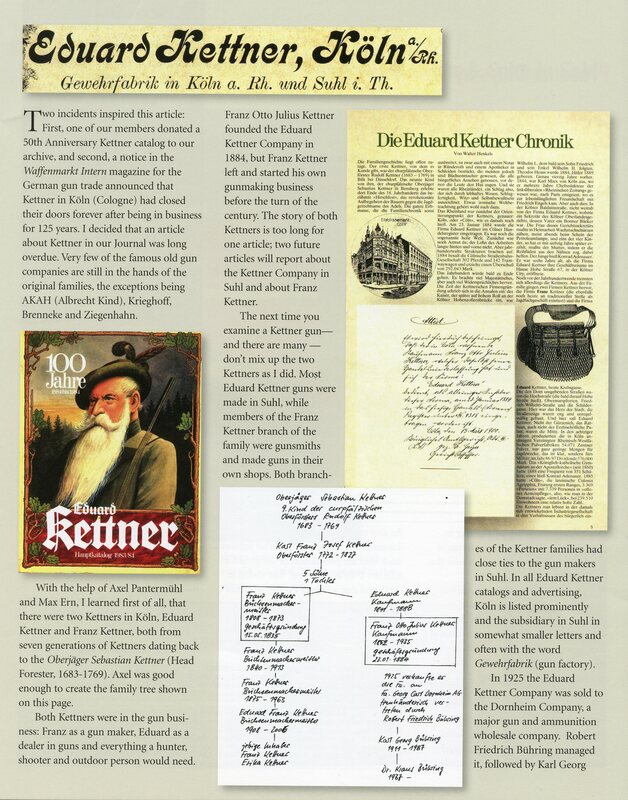 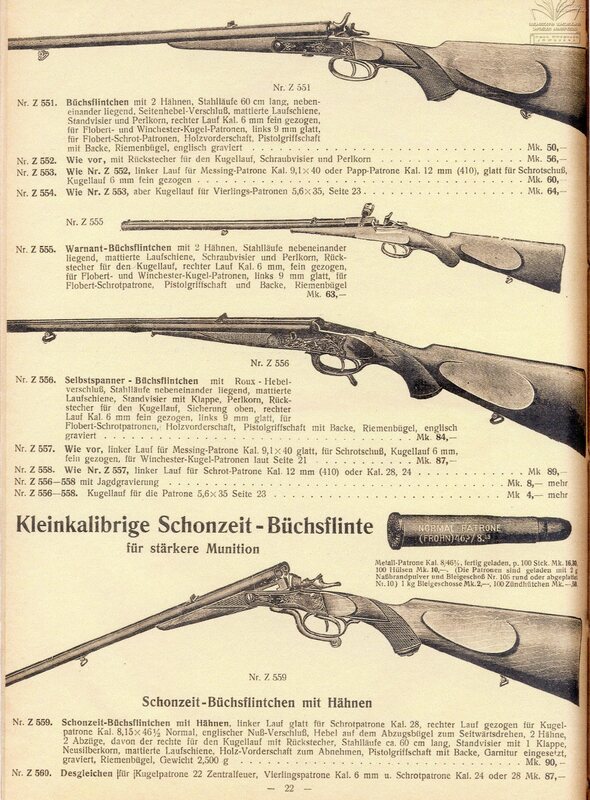 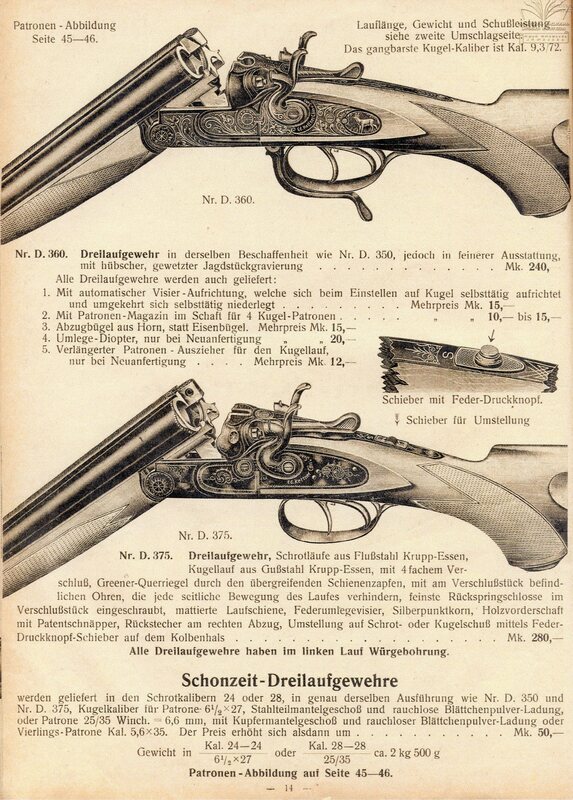 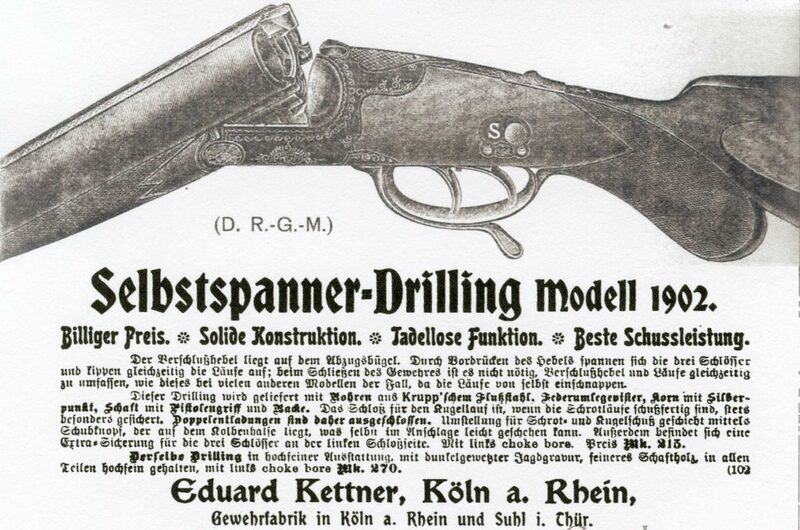 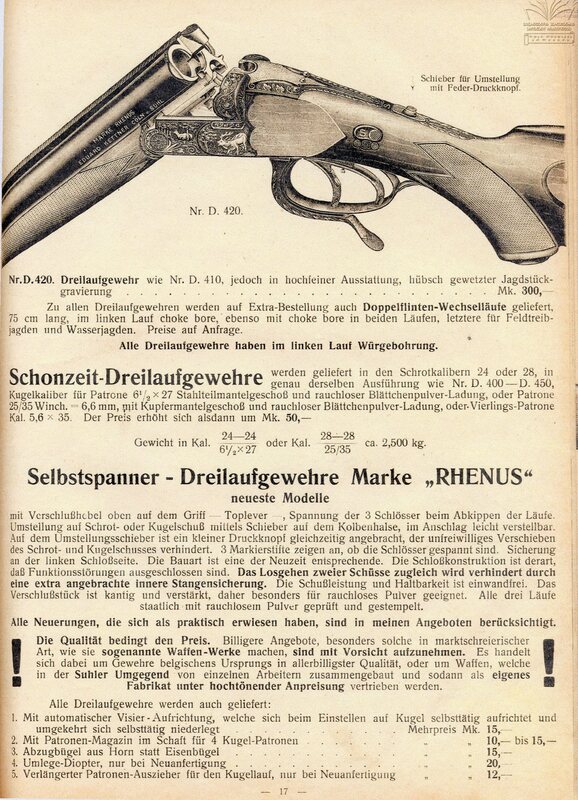 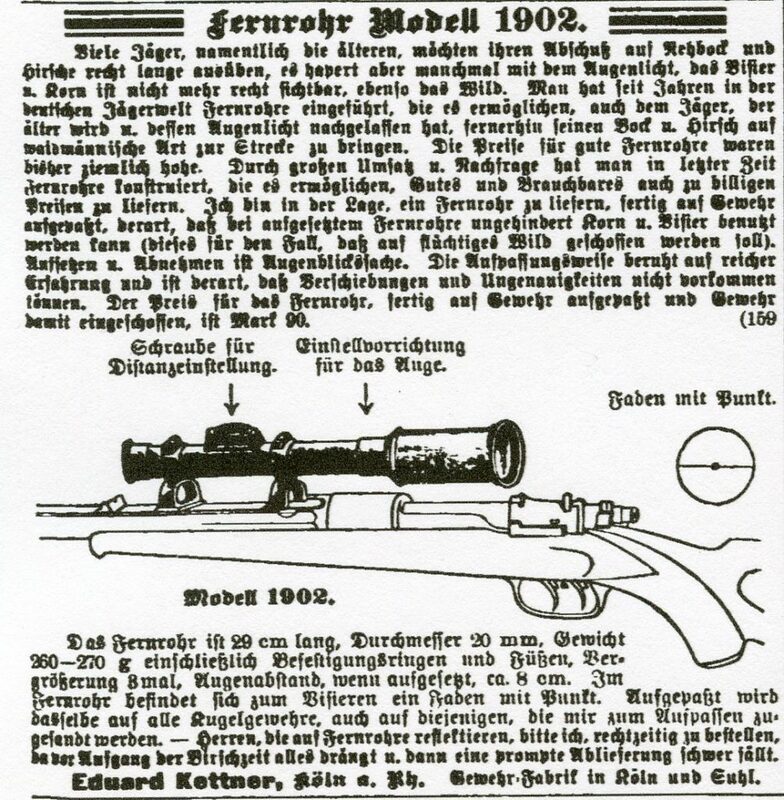 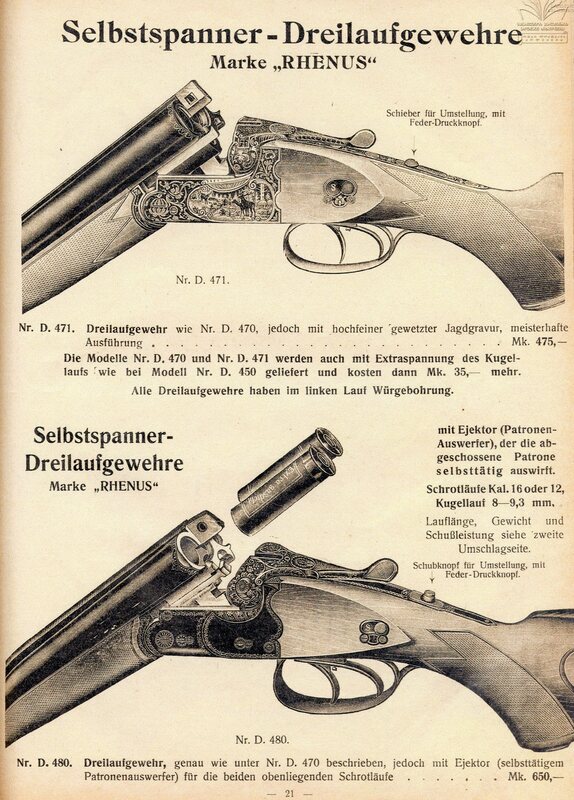 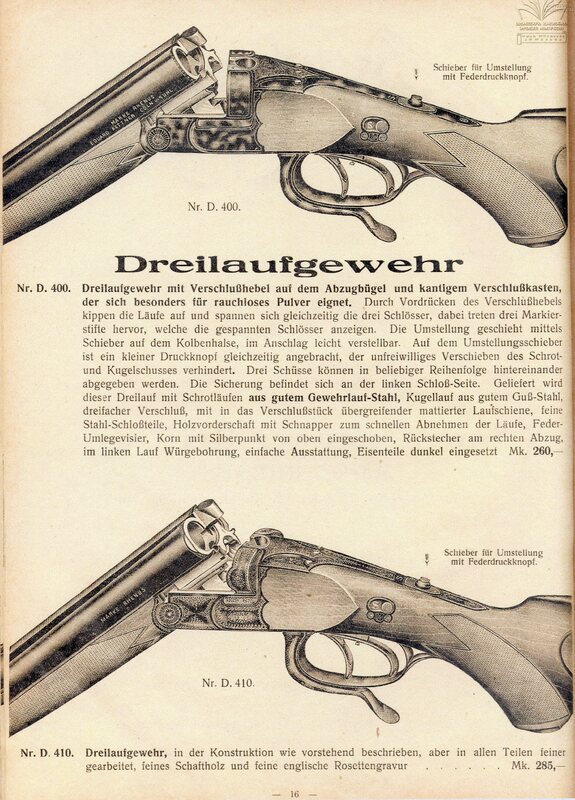 In the 1928 Eduard Kettner catalog on page 26 they show a side by side rifle with what they referred to as the E. K. Verschluss (Eduard Kettner lock up?). 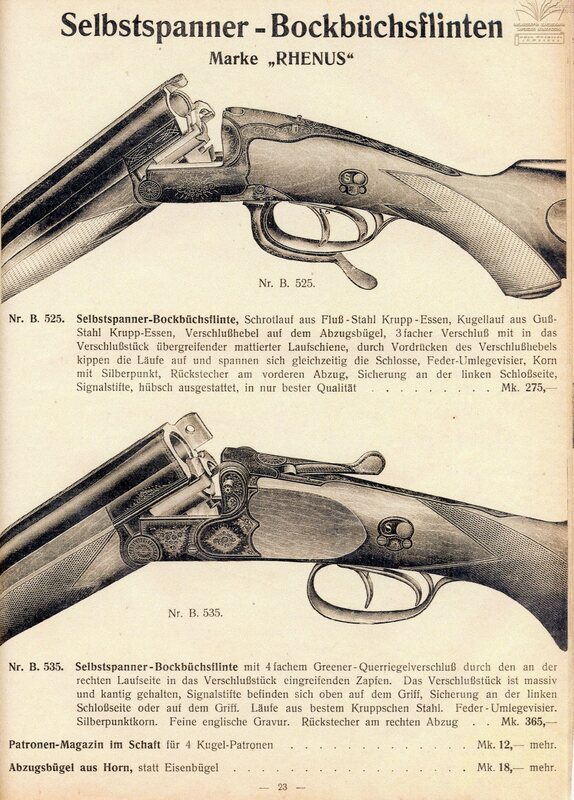 It featured a five point lock up – two under bites, a square Greener cross bolt in the rib extension and enlarged side clips extending from the breech of the barrels to engage a lug in the receiver balls on each side. 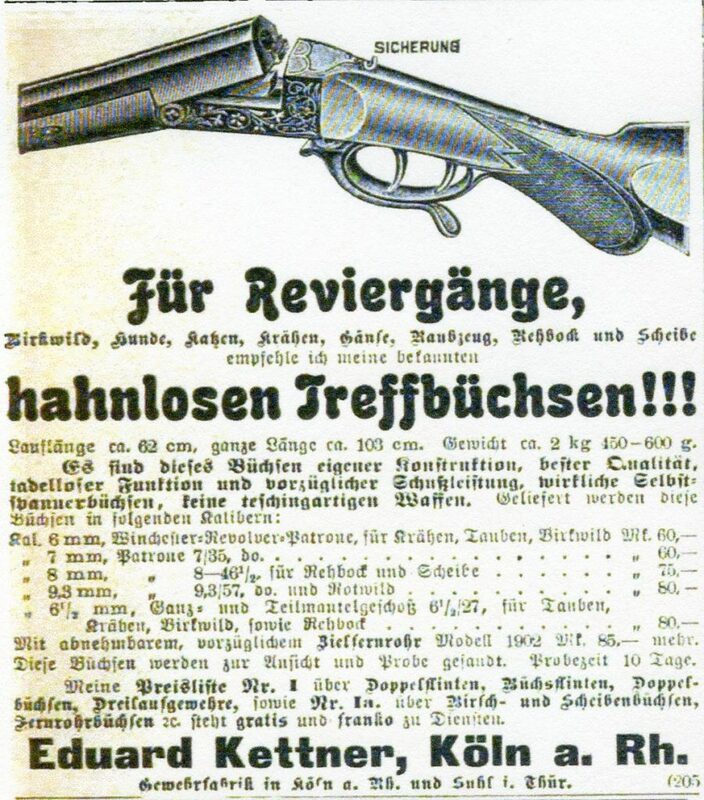 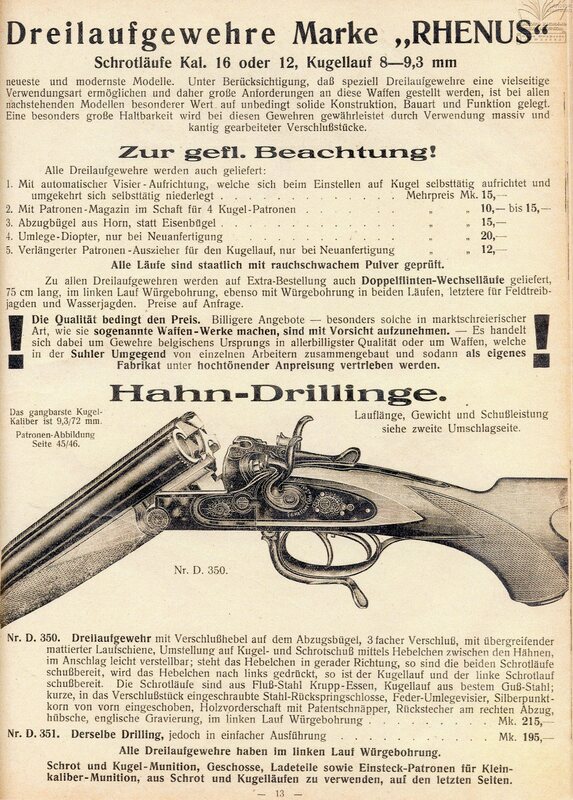 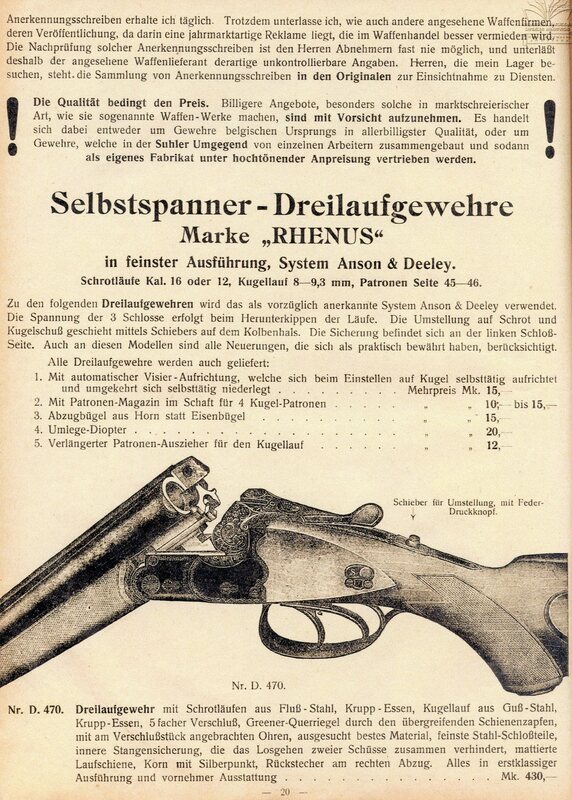 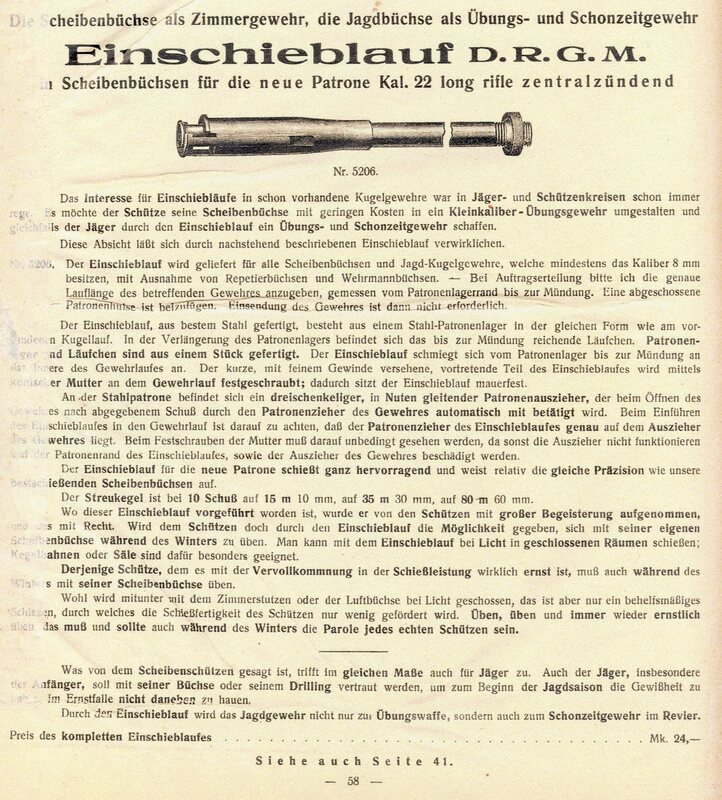 The following Ads appeared in the 1903 editions of the “Deutsche Jager Zeitung”.